Sometimes when I order a bottle of wine in a restaurant and I know how much it costs at the store, I cringe a little. On average, the markup on wine in restaurants is double its retail price and depending on the type of wine, it can be even more. During a recent restaurant outing, I saw a bottle of Yellowtail on a menu for $35! I mean, c’mon, you can buy that at Safeway for as little as six bucks. Virginia law allows patrons to bring their own bottles to restaurants. I used to do this, and on occasion still do when I have a particular craving or it’s a special occasion, but with the corkage fee, I realized I really wasn’t saving that much. Now, in an effort to promote area wines, some local restaurants are waiving corkage fees for Virginia wines. 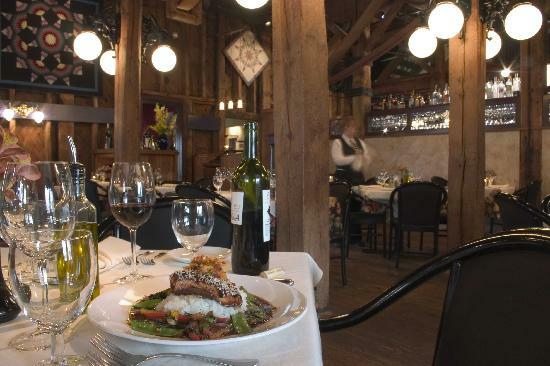 Tuskie’s restaurant group which includes a number of restaurants in Loudon and Arlington Counties is letting diners bring up to two bottles of Virginia wine without charging a corkage fee. The only catch: you have to bring your receipt showing it was purchased earlier in the day. This can save you anywhere from $20-$30 per bottle. It’s not a bad deal and it is definitely an incentive for exploring Virginia’s vibrant viticulture.